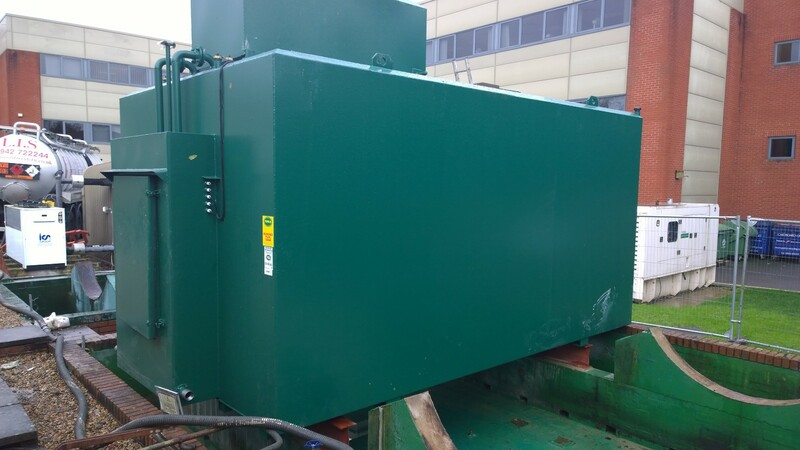 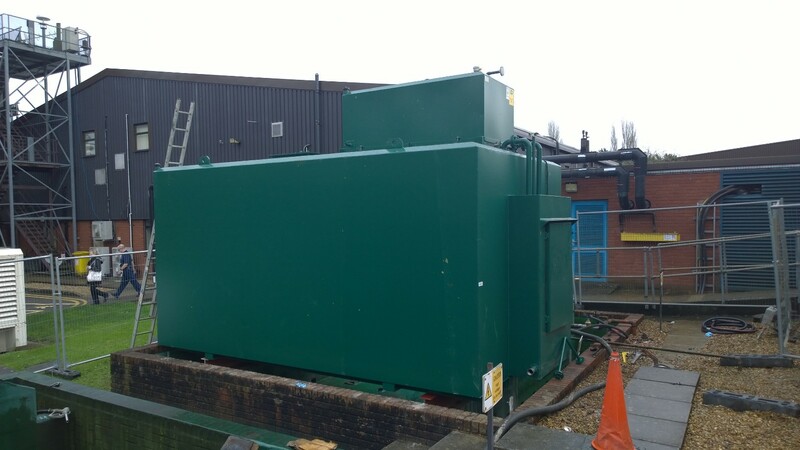 Tuffa have recently supplied a large 30000 litre steel bunded tank with a 1200 litre header tank to replace existing fuel storage on a site in the South West. 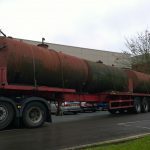 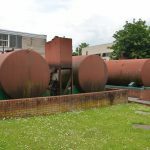 Tuffa arranged everything from the removal of the existing tanks, manufacture and supply of the new replacement tanks, and installation and commissioning of these new tanks. 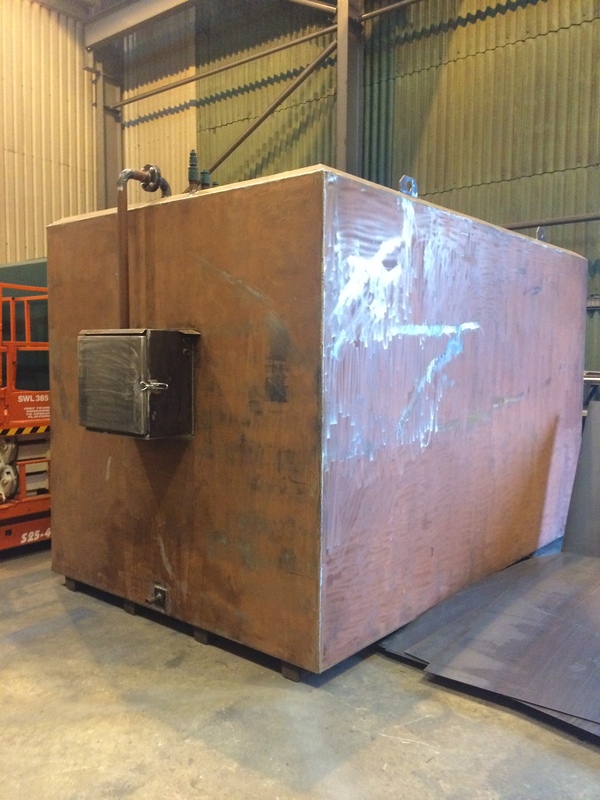 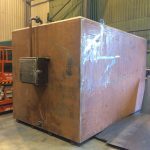 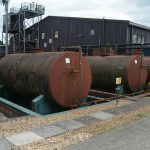 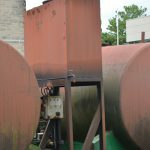 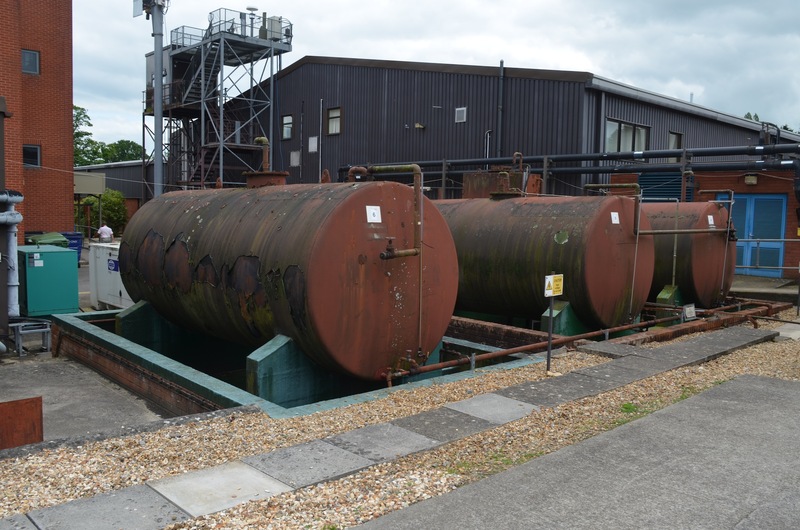 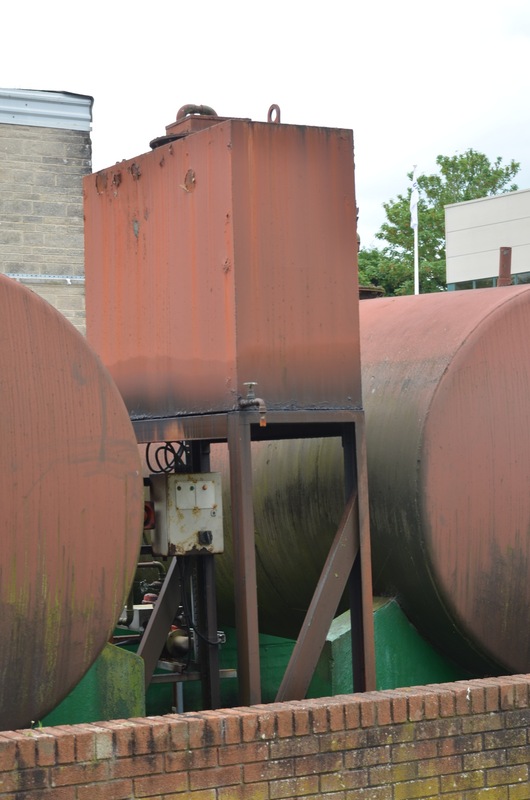 The 30000SB steel bunded tank measured up at 5000mm (L) x 3000mm (W) x 2500mm (H) and was manufactured with two separate inner compartments to hold a capacity of 15,000 litres each. 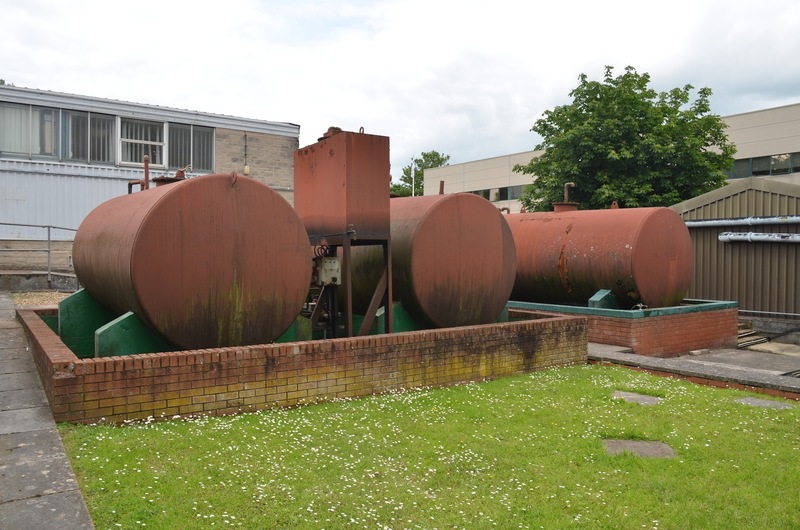 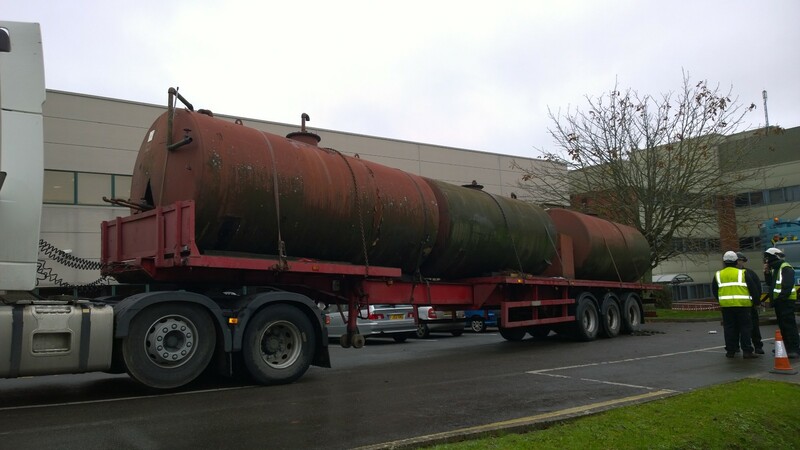 The header tank was manufactured to 2000mm (L) x 1000mm (W) x 750mm (H) and suitable to store up to 1200 litres. 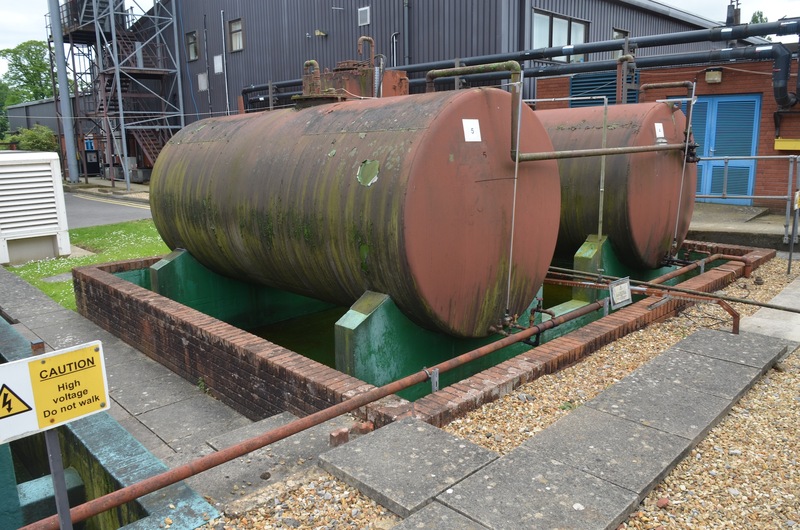 – Supply pipework from the day tank and pipe into the front tanker compartment as a temporary supply. 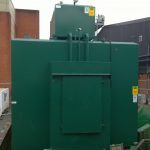 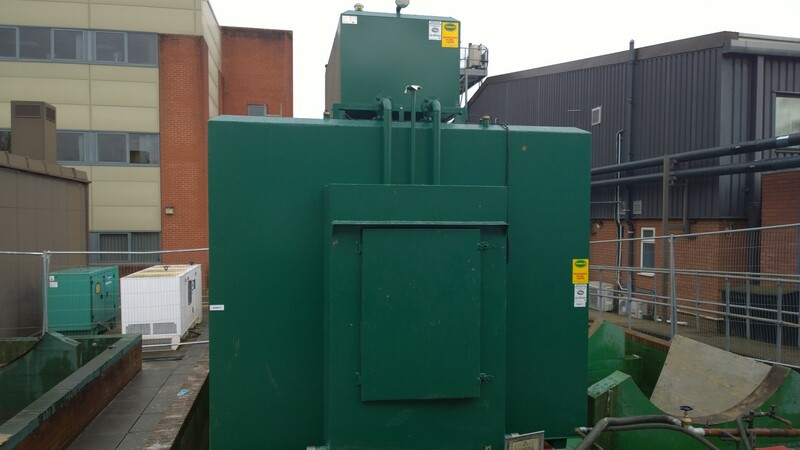 – Disconnect day tank from mains electric and make safe. 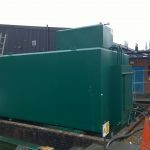 Electrical engineer to disconnect day tank motor and reconnect to new day tank and commission new pump set supplied with tank. 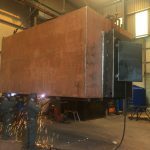 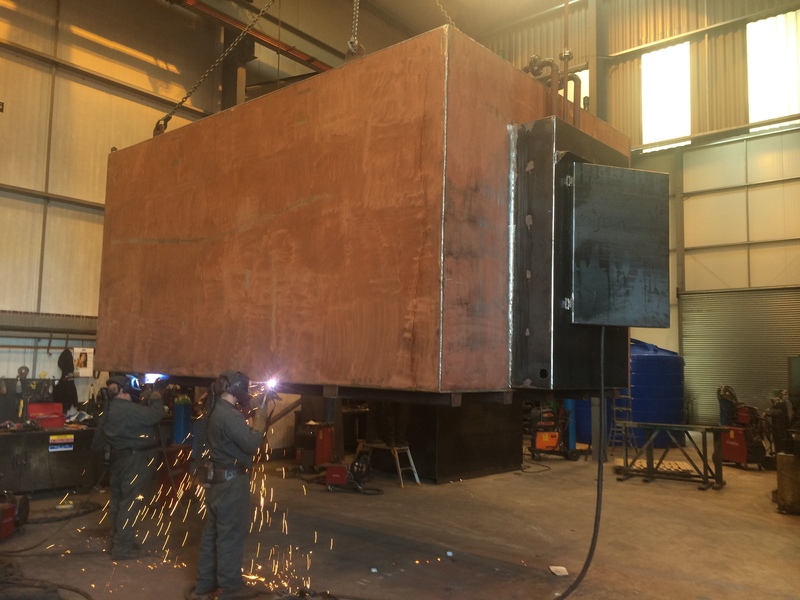 – Crane lift of large tank into position and ensure it is seated on original plinths. 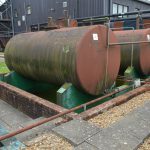 – Lift new header tank into position and start install of pipework. 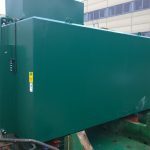 – Clean and tidy work areas.